Bill O'Neill said in a Facebook post that his admission was "on behalf of all heterosexual males" and an effort to move on from the "national feeding frenzy about sexual indiscretions decades ago." 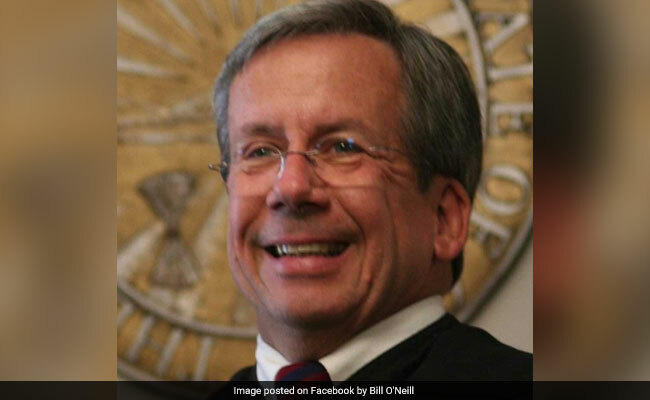 Chicago: An Ohio judge and gubernatorial candidate sparked a firestorm Friday when, seemingly fed up with the escalating national debate over sexual harassment and impropriety in the workplace, he bragged that he had slept with 50 women. "In the last fifty years I was sexually intimate with approximately 50 very attractive females," the Democratic candidate and justice on the Midwestern state's highest court said. "It ranged from a gorgeous blonde who was my first true love and we made passionate love in the hayloft of her parents barn and ended with a drop dead gorgeous red head from Cleveland." He later told the Cleveland Plain Dealer newspaper he did not keep a specific count of his conquests. The reaction was swift and damning. "I condemn in no uncertain terms Justice O'Neill's Facebook post," Ohio Supreme Court's chief justice Maureen O'Connor said in a statement. "This gross disrespect for women shakes the public's confidence in the integrity of the judiciary." His Republican rival in the gubernatorial race, Mary Taylor, criticized the comments as "ill-timed and dismissive at best." O'Neill's own political party also condemned the remarks. Ohio Democratic Party chairman David Pepper said his comments "do nothing but trivialize this important conversation, which is actually about harassment and abuse, not encounters between consenting adults." The Ohio Democratic Women's Caucus called the post "degrading and downright strange."